Xiaomi's next flagship phone is underway. No doubt, shutterbugs, and geeks with hoodies on will follow it to the end to get its first look. 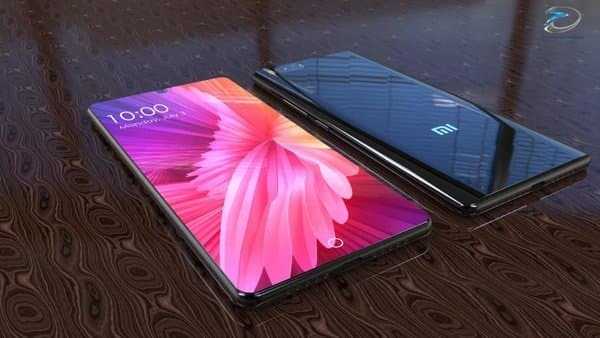 Dubbed Mi 7, the successor of Mi 6 phone will probably kickstart its journey from sometime in the first half of 2018. Features under the spotlight - bezel-less display and a dual camera setup, the latter being already present in its predecessor Mi 6. Without further ado, let us dissect its internal organs. On the front, the Xiaomi 7 sports an 18:9 6.01-inch OLED display, probably supplied by Samsung. The leaked image shows a perfectly etched rear ceramic body with double camera set-up each having a 16 MP (16MP+16MP) sensor with an aperture of f1.7. Not just it, the newcomer is supposed to sport the brand new Snapdragon 845 SoC set to 2.4 GHz, an unreleased showstopper which will be mass produced around March. Other notable features include Adreno 540 GPU, 6/8GB RAM and a storage of 32GB/64GB with a 128GB microSD external storage option. Having a bezel-less display accounts for a rear fingerprint sensor, but Xiaomi phones have already shown the technology in its low-end models however this one was a required. Rumor has it, although the Mi 7 phone was staged to carbon-copy iPhone X it could not add the USP, Facial Recognition as the technology was not achieved perfectly. You get non-removable Li-Po 3500 mAh battery, just like Mi6 with fast charging support. As per unconfirmed reports, the Mi 7 will be released in China with a price tag of CNY 2,699 (nearly Rs. 26,600). Well, it's a new year gift so till then we all have the liberty to inspect the rumors.